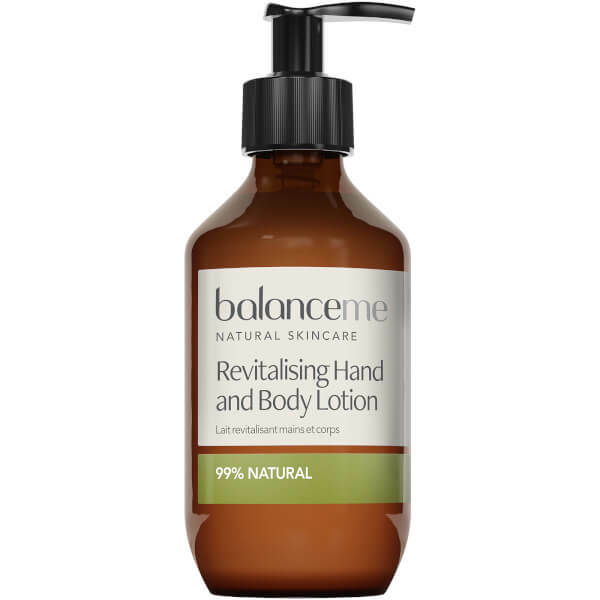 Combining naturally active botanicals with hi-tech natural formulations, the Balance Me Revitalising Hand and Body Lotion promises to soothe and hydrate even the most sensitive skin. Fortified with 99% natural ingredients, the comforting, quick-absorbing formula delivers a veil of hydration onto skin, softening and smoothing whilst imparting a creamy, zesty aroma. 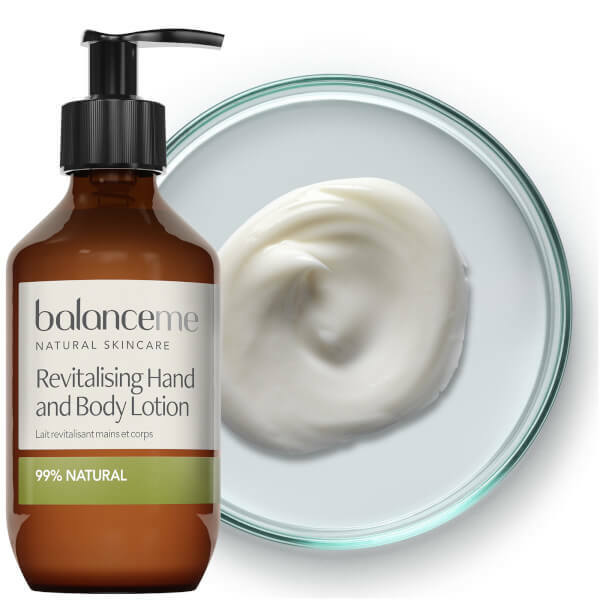 Comprising Certified Organic Shea Butter; soothing Aloe Vera and refreshing Grapefruit and Spearmint, the hands and body will feel quenched and charged with all-day hydration. Aqua (Water), Butyrospermum Parkii (Shea) Butter³, Caprylic/Capric Triglyceride, Glyceryl Stearate, Cetearyl Alcohol, Glycerin (Vegetable), Polyglyceryl-3 Dicitrate/Stearate, Prunus Amygdalus Dulcis (Sweet Almond) Oil, Coco-Caprylate, Calendula Officinalis (Calendula) Extract, Sodium Stearoyl Lactylate, Chondrus Crispus (Carrageenan), Aloe Barbadensis (Aloe Vera) Leaf Extract³, Citrus Grandis (Grapefruit) Peel Oil¹, Mentha Viridis (Spearmint) Leaf Oil¹, Citrus Limon (Lemon) Peel Oil¹, Juniperus Communis (Juniper) Fruit Oil¹, Citrus Aurantium Bergamia (Bergamot) Fruit Oil¹, Lavandula Angustifolia (Lavender) Flower Oil¹, Citrus Aurantium Dulcis (Orange Sweet) Peel Oil¹, Cananga Odorata (Ylang Ylang) Flower Oil¹, Benzyl Alcohol, Dehydroacetic Acid, Potassium Sorbate, Citric Acid, Limonene², Linalool², Geraniol², Citral², Benzyl Benzoate², Farnesol², Benzyl Salicylate². (¹) natural pure essential oil, (²) naturally occurring in essential oils, (³) certified organic ingredient.